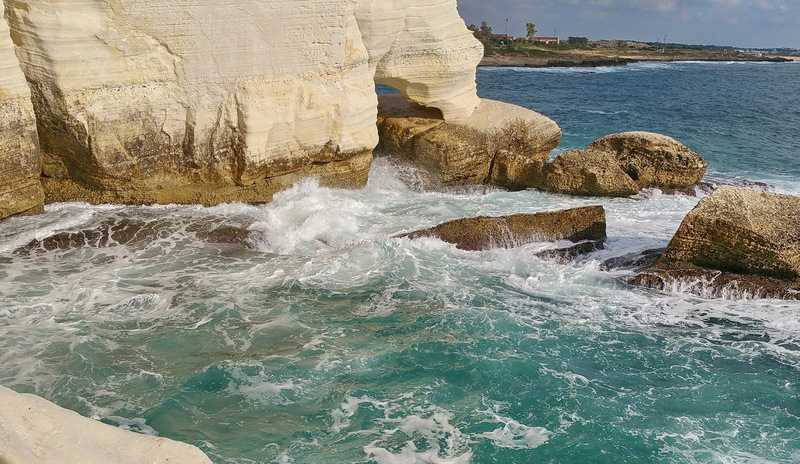 Rosh Hanikra is a beautiful national park and nature reserve at the extreme northwestern end of Israel, on the border with Lebanon and 20 km north of Akko. 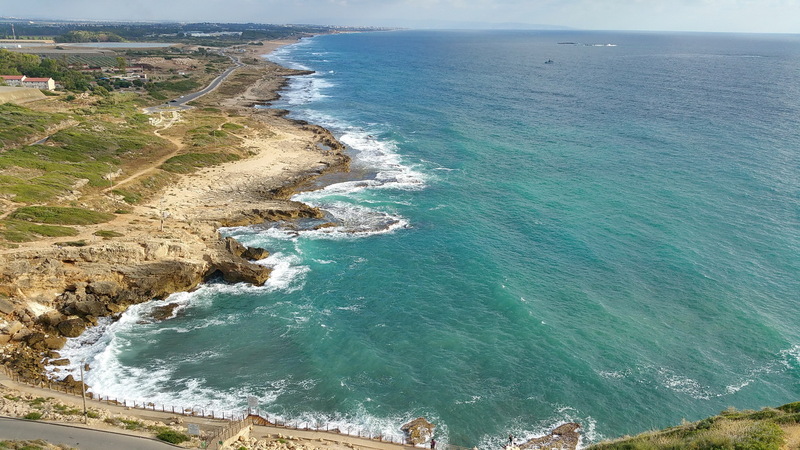 It is located at the end of a long mountain range that serves as a border between the two countries, at a spot where this ridge “falls” into the Mediterranean Sea. 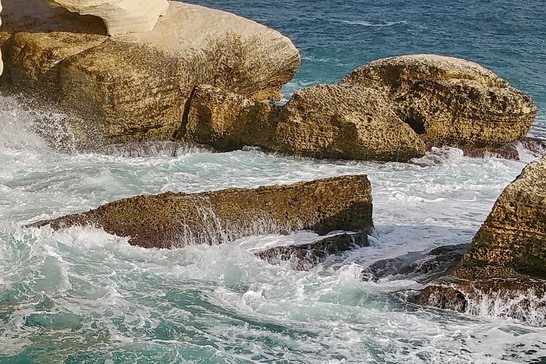 Rosh Hanikra served as a border crossing between the two countries not only in modern times, but at least from the Hellenistic period (4th century BCE and later). In 1942, the British dug a railroad tunnel through the cliff that is now blocked – at least until we will have peace with Lebanon. 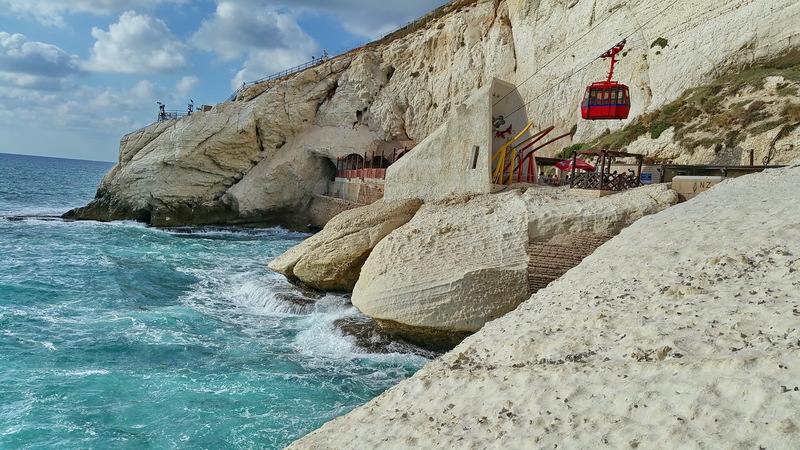 This chalky white cliff is dotted with grottoes, which were dug by the sea during the course of hundreds of thousands of years. 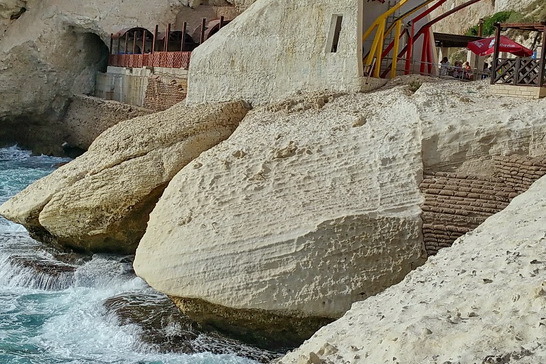 Some of the caves were created when sea level was lower (during the Ice Ages, in the last million years) and can be seen now only under the water. 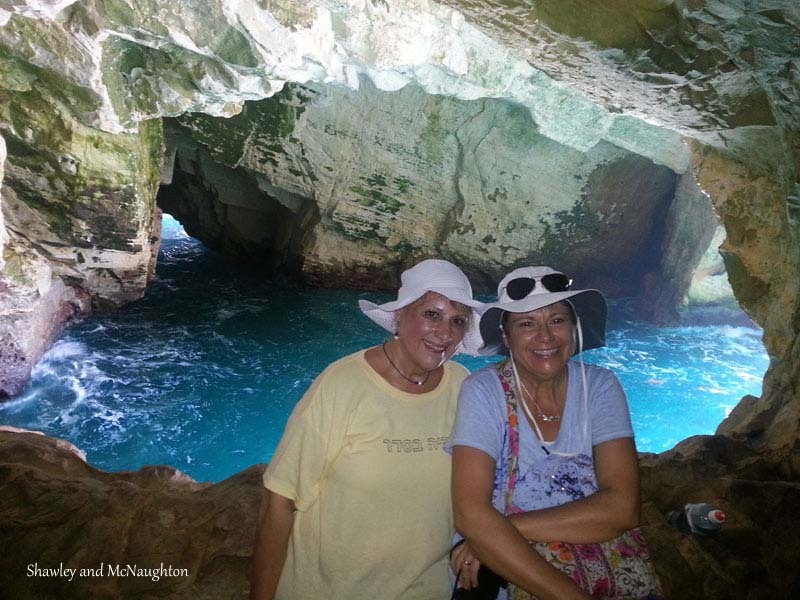 The more recent caves are the ones we will see when we walk into a special tunnel dug to serve as entrances to the caves. When the sea is calm, you can enjoy the water’s special blue color. But when the sea is rough, the sight is spectacular. The waves break into the caves with immense power and a loud roar – one of the many ways that nature demonstrates its endless powers. The only way down from the parking lot to the caves is by a small cable car. 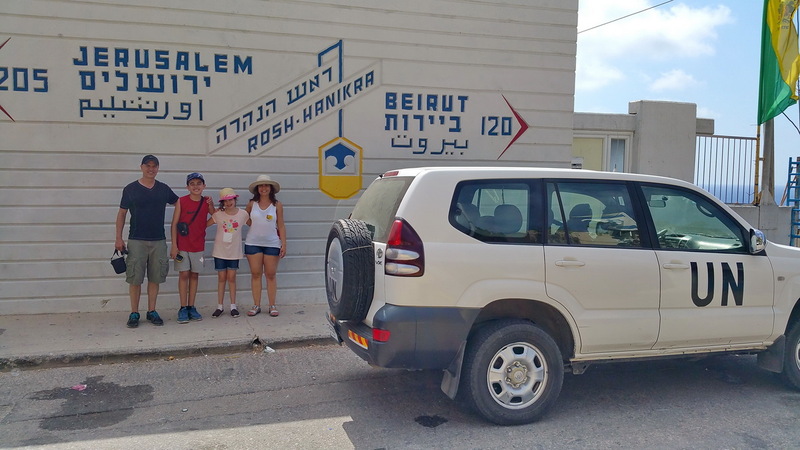 In addition to the tour in the caves and seeing the blocked railroad tunnel, you can also watch a video about the Rosh Hanikra, and the creation process of the caves. 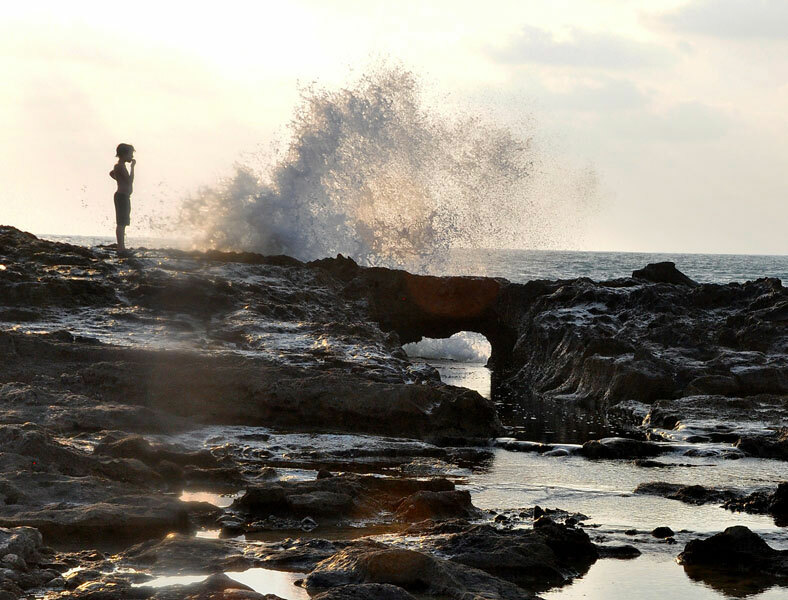 After leaving the site, we can take a wonderful short hike along the rocky beach.